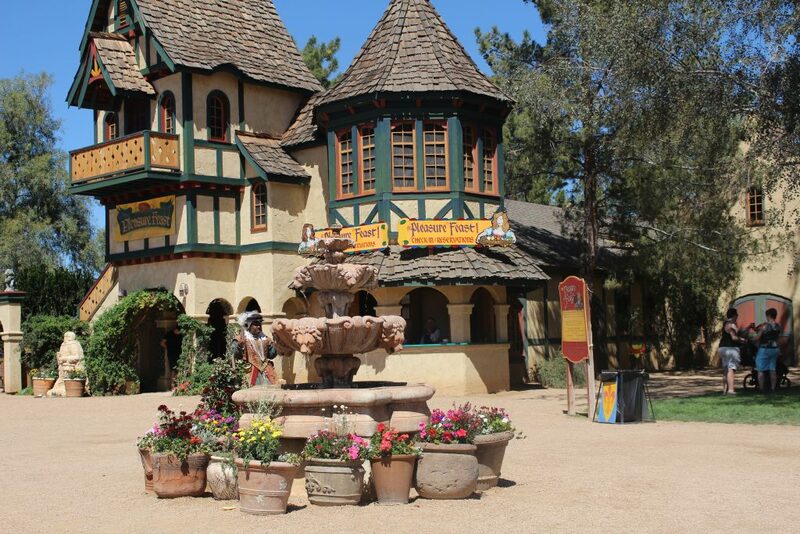 Ever dreamed of what it’s like to live back in the day when kings and queens ruled? When the rebirth of a period of time when art, philosophy, and literature was revolutionary? To experience how medieval life was portrayed? 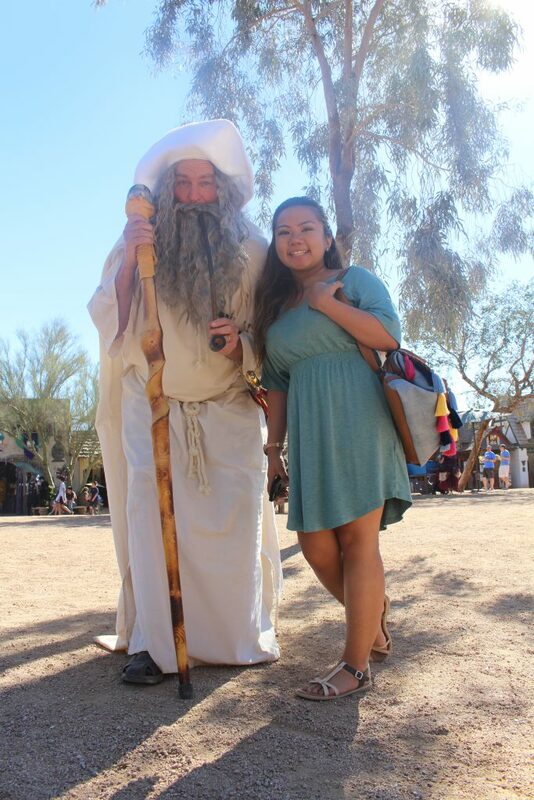 Attending a Renaissance festival (or fair) would be the best way to experience all that! 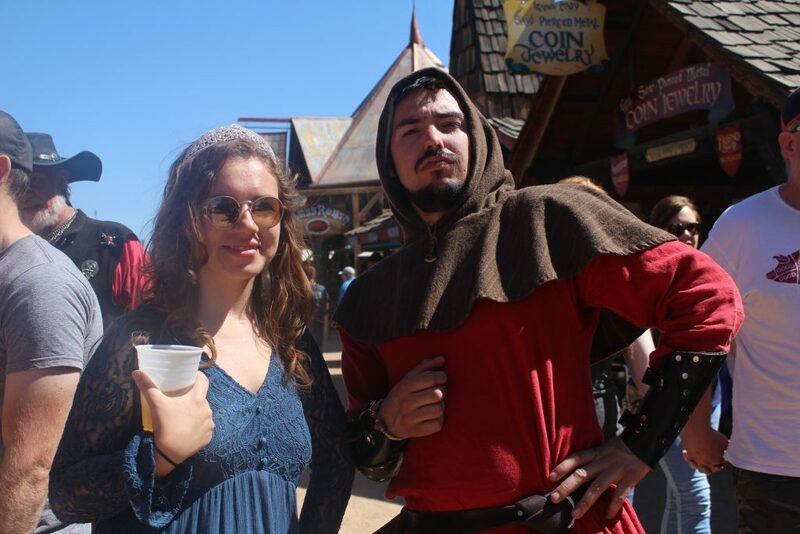 Before this year, I have never gone to a Renaissance festival before and the closest thing I experienced was watching medieval knights fight on horses (also known as jousting) while having chicken legs for dinner and wearing a paper crown in New Jersey. 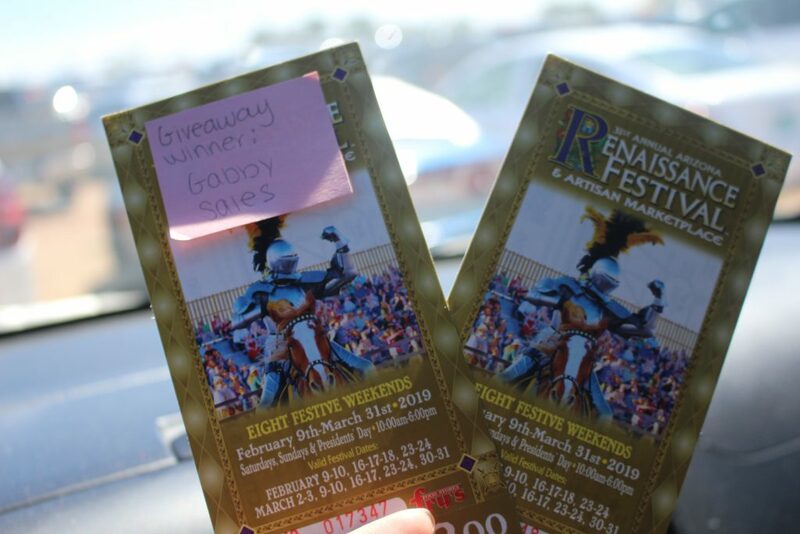 Visit Mesa (the official tourism for the city of Mesa in Arizona) gave me two free tickets to the Arizona Renaissance Festival, which I won in a giveaway. 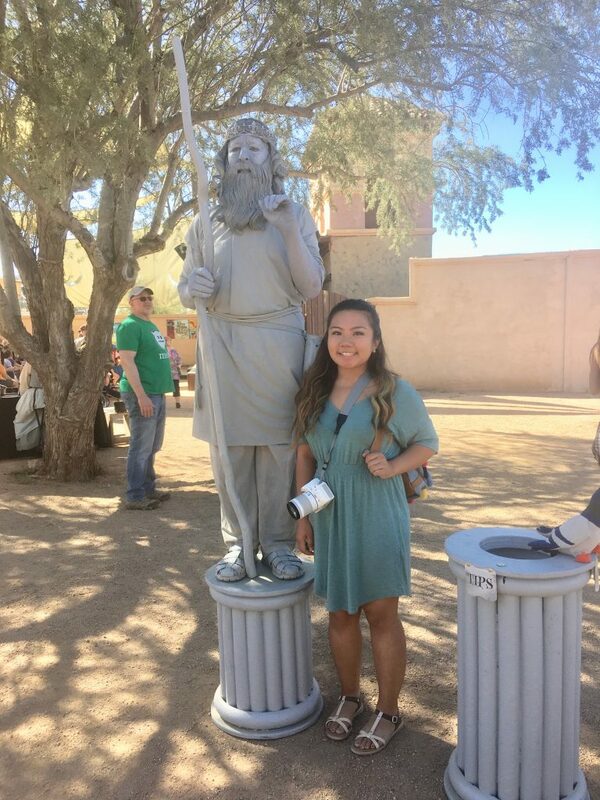 I had to experience the Arizona Renaissance Festival and see what it was about. But you’re probably wondering what exactly is a Renaissance festival and what can you see there? 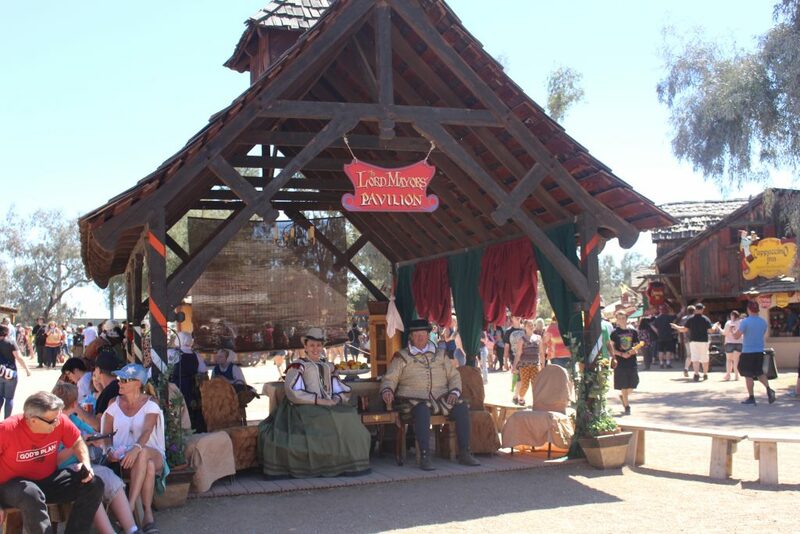 A Renaissance festival is a weekend gathering taken place in the outdoors where the setting looks predominantly historical such as in the Renaissance or medieval era. 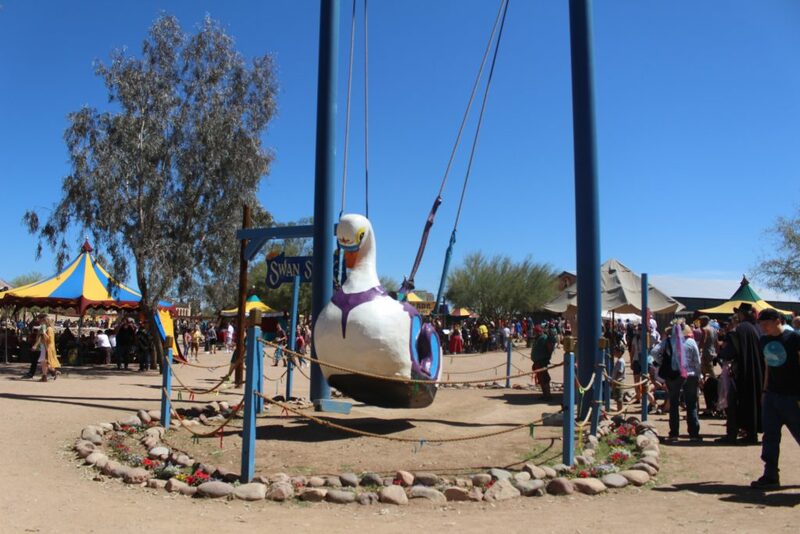 It’s usually held throughout the United States and can be hosted in an already existing public place or built around a theme park. 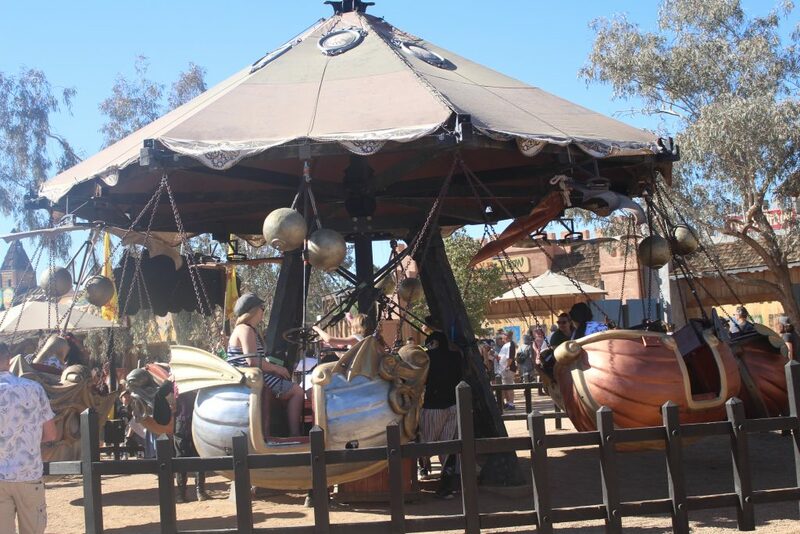 A lot of what happens in a Renaissance festival is centered around for amusement. A lot of events are held repetitiously as it unfolds on the weekends and some events are only performed on occasion. Keep reading on to find out what you can see and do there! 1. The wacky and incredible costumes that are displayed throughout. 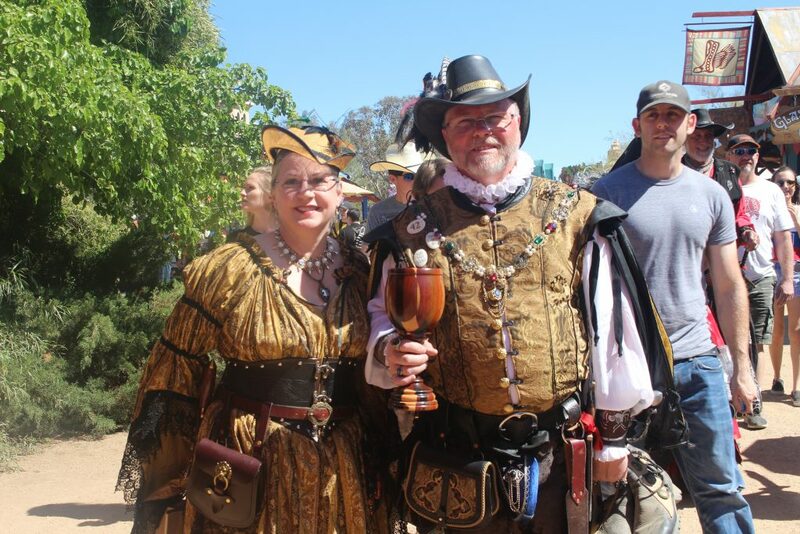 When you walk into a Ren fest (that’s short for Renaissance festival), don’t be surprised when you see pirates and women in big tight gowns walking around. 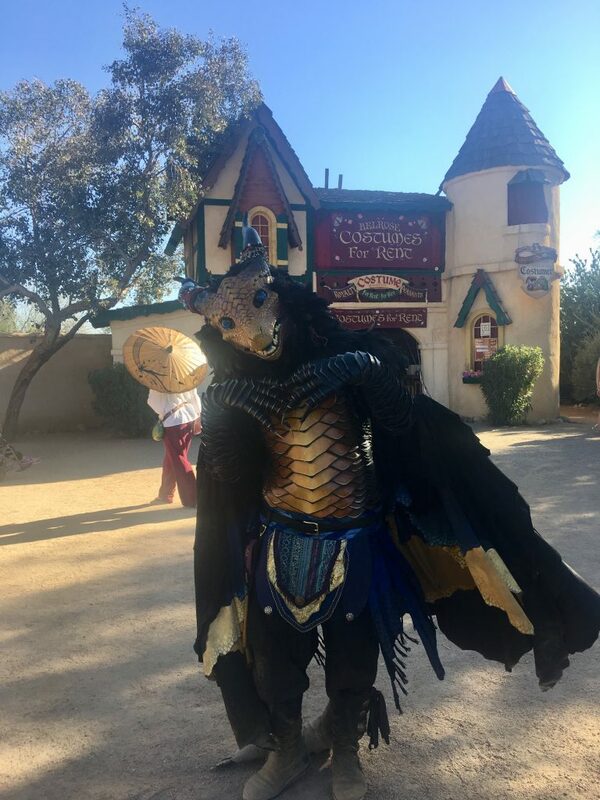 The exaggerated, wacky, detailed, and themed costumes are one of the funnest things to witness in a Ren fest! There’s just so much different characters that you’ll find walking around in the festival and it’ll add to a comical experience, after all, one of the main purposes of a Ren fest is to bring in amusement. 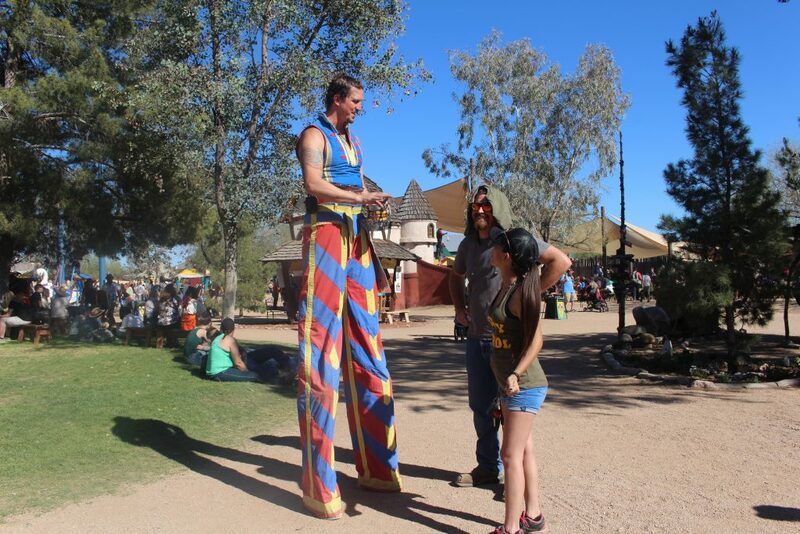 You might also run into a guy on stilts or a guy who pretends he’s a statue. 2. The settings that will make you feel like you’re in a different time period. 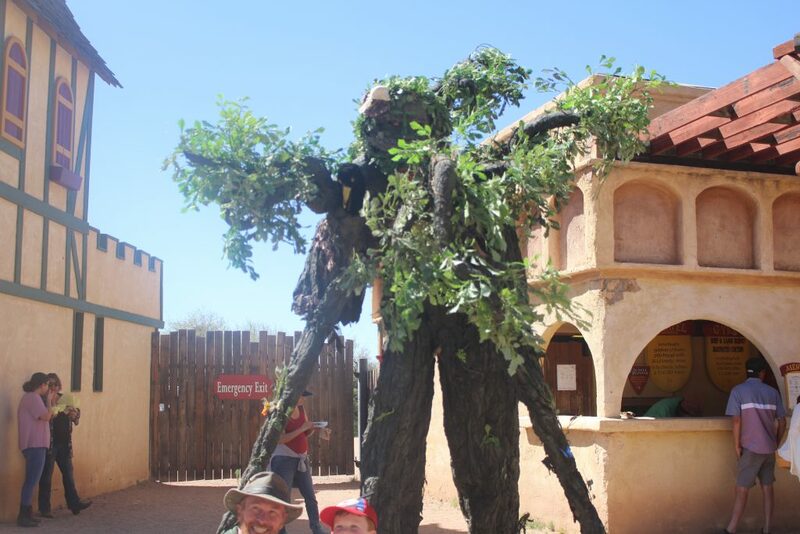 Look around you at a Ren fest and you might find the most brilliant looking settings around you. You might feel like you’re in a movie set or you might just really feel like you’re in the Renaissance period with European-inspired replicas and architecture. Feeling like you time traveled? That’s exactly how it should feel. You might even hear the workers roleplay and act as if they belong elsewhere (when they’re actually Americans who may occasionally break out of their European accents). Some of the spellings you’ll find on these set-ups and backdrops will be old-fashioned too like fair will be spelled out in Middle English “fayre”, as the English language went through various variations and developments back then. 3. 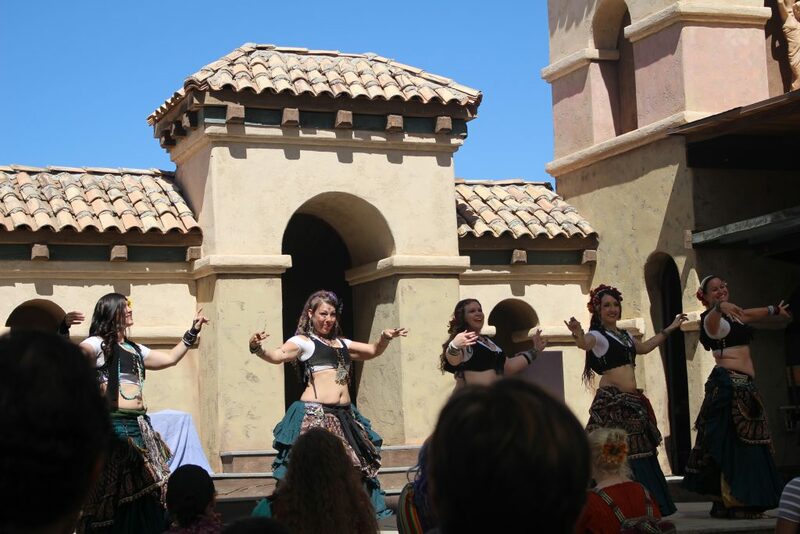 Jousting matches, belly dancing performances, comical performances, and intriguing demonstrations. The knights that battle each other on horses, also known as jousting, will be one of the main events to see in a Ren fest! Unfortunately, I arrived a little too late when the jousting match happened, so I didn’t get to watch it, but I do think you shouldn’t miss out watching it when you go to a Ren fest. I did get to see belly dancers perform on stage with some exciting tunes (serious hip moves that I don’t think a girl like me can master!). There are also plenty of other performances to watch such as comedians acting to give you a good laugh. 4. The good food! Especially the turkey legs. 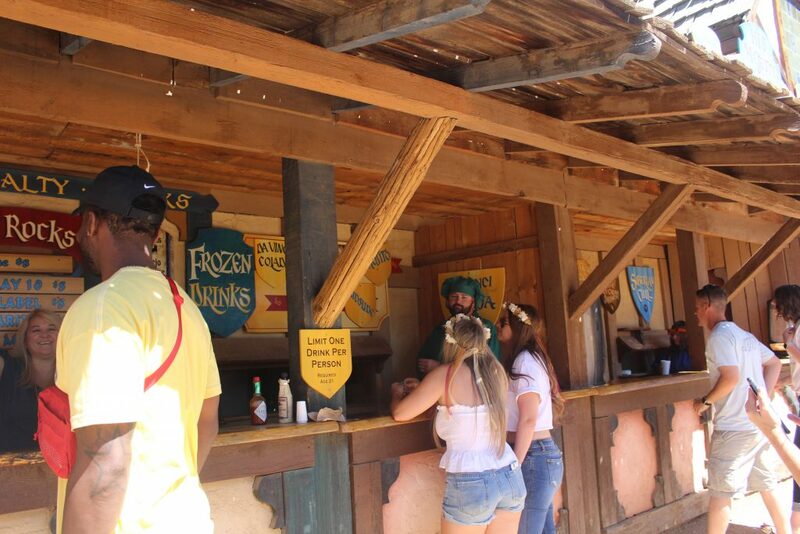 Oh, and don’t forget to grab a cooling drink as you hangout through the festival. Food is always going to be the best thing to find in any festival. 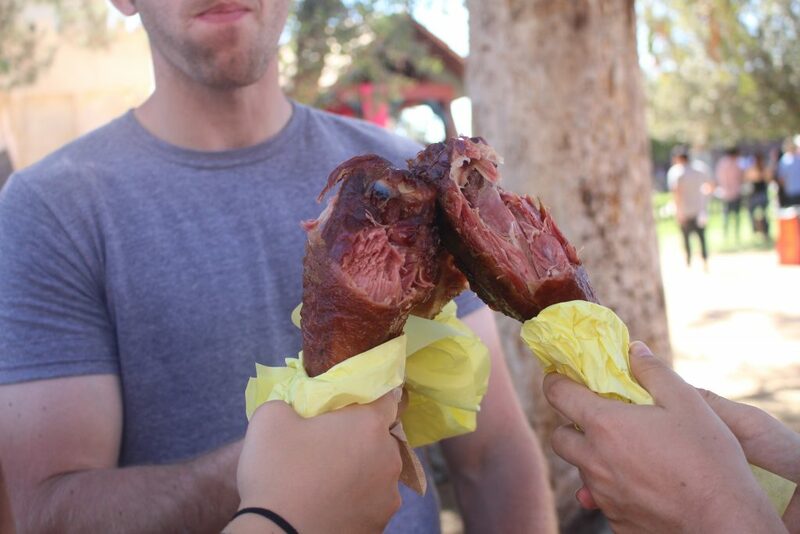 Food is somehow even better at a Ren fest. Whether you’re looking for your typical American foods and beer or if you’re opting for more unique options, there are many booths catered to fulfill your hunger. 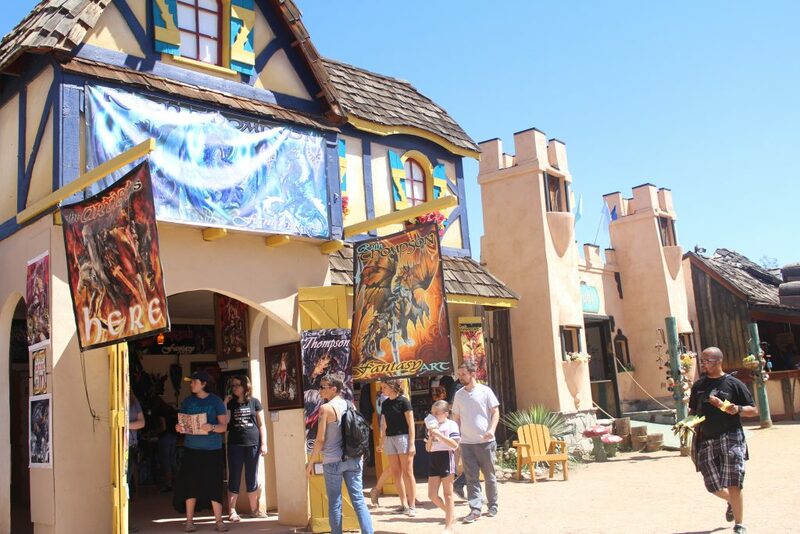 The Arizona Renaissance Festival hosts “The Pleasure Feast”, an exclusive event that has 5 courses of food with live entertainment and souvenirs, where you can almost feel like you were dining in royalty with the company of the king. The turkey legs were a superstar of The Arizona Renaissance Festival too and I must say, it was mouthwatering to look at and very tasty to chomp down on. Pair all the foods with some refreshing liquor and be ready to have some exciting laughs and company with the characters walking around. DaVinci’s Colada (a.k.a a pina colada) was the best one I had yet. 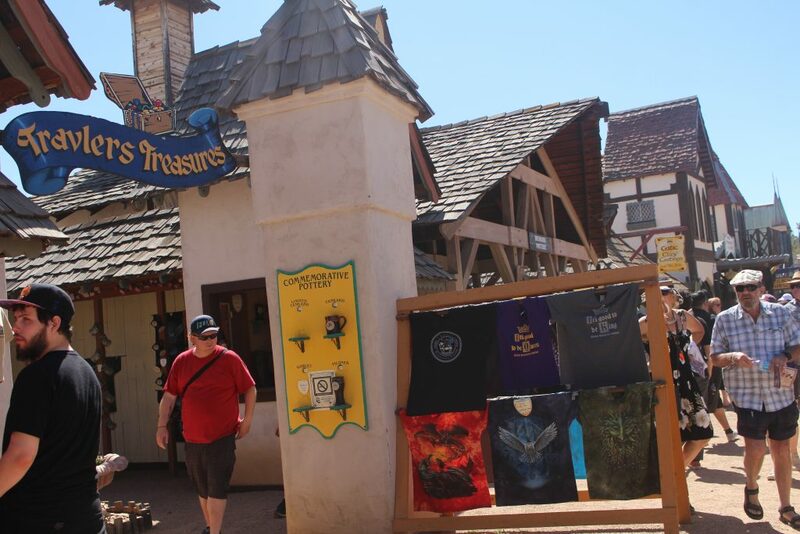 There are many vendors to find in a Ren fest! 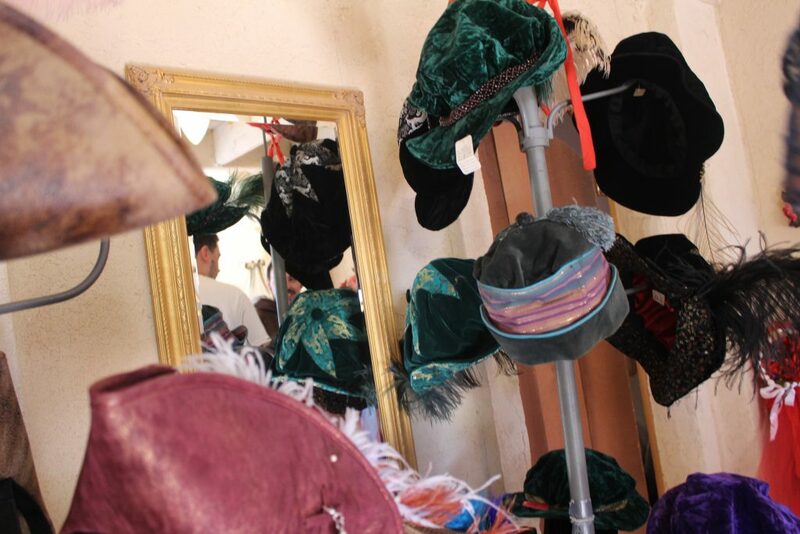 Many of them are artisans with many exuberant things to sell that would get you dressed up for the theme or souvenirs. 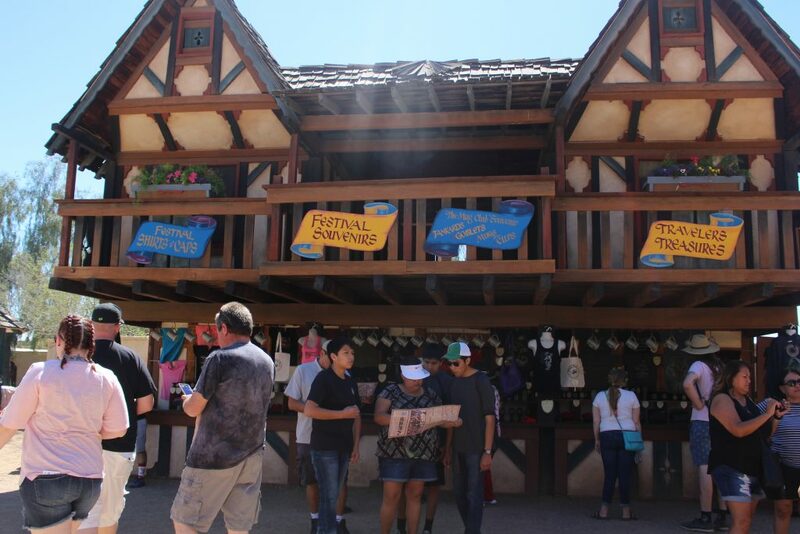 In the Arizona Renaissance Festival, we saw many items such as elf’s ears, wands, rope sandals, tiaras, wizard, joker, and witches’ hats and more! There are also some services to find, ranging from very useful and to very random. 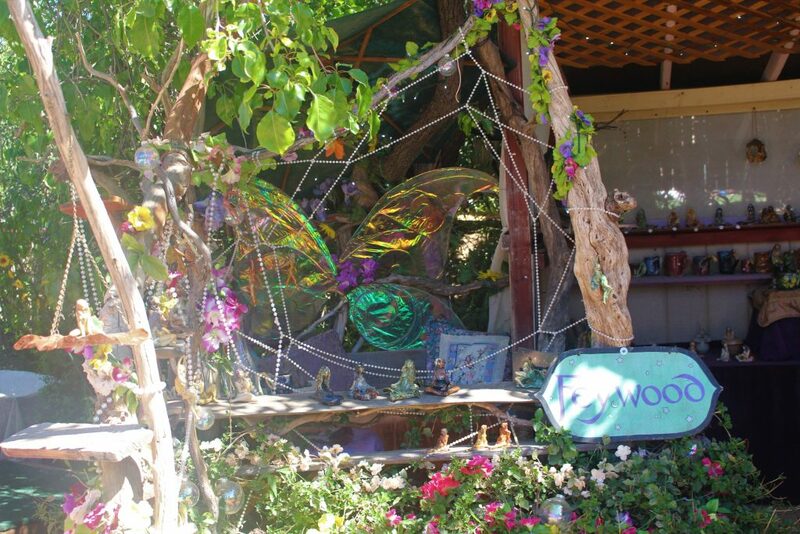 For example, you can probably find psychics offering readings on there and face and body painting. 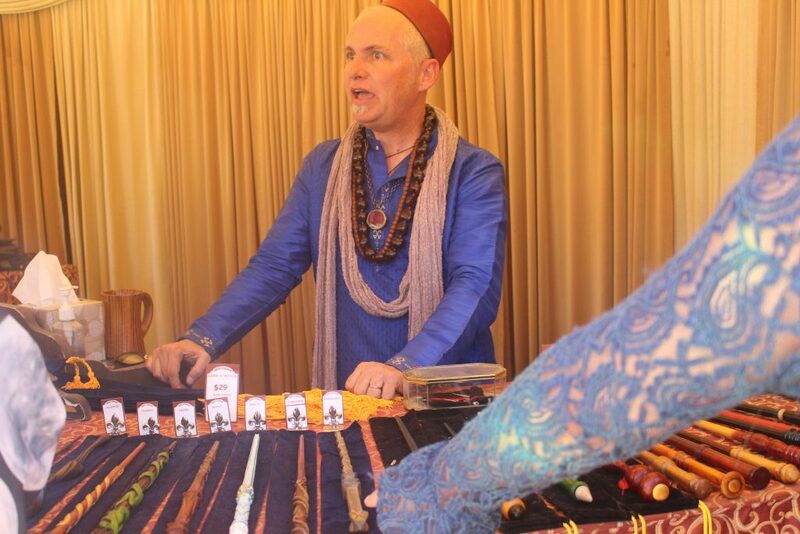 You can also find a plethora of vendors that cater to arts and craft, woodwork, and weaponry. 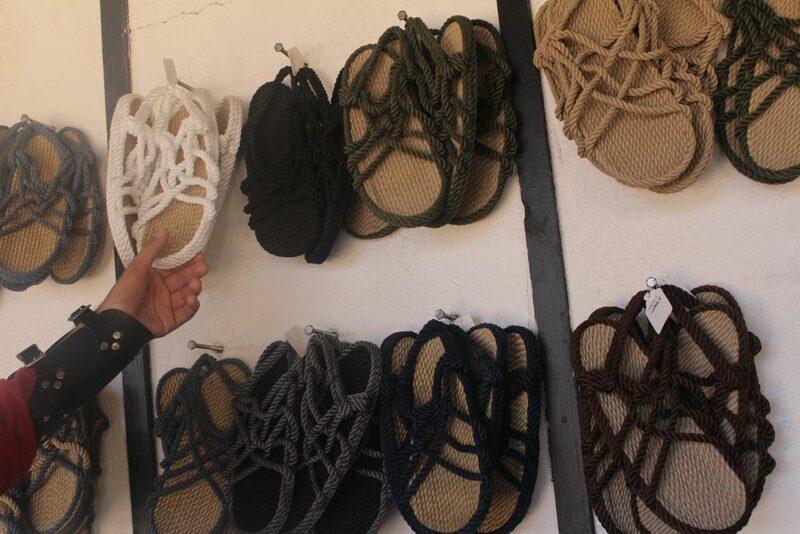 The options are endless and the marketplace will take up a lot within the festivals. What’s a festival without some games and rides? It’s probably the best type of bonding to do with your friends and family throughout the festival, after all. We saw there was a paintball area where you shoot paint at a live worker/human in silver armor. 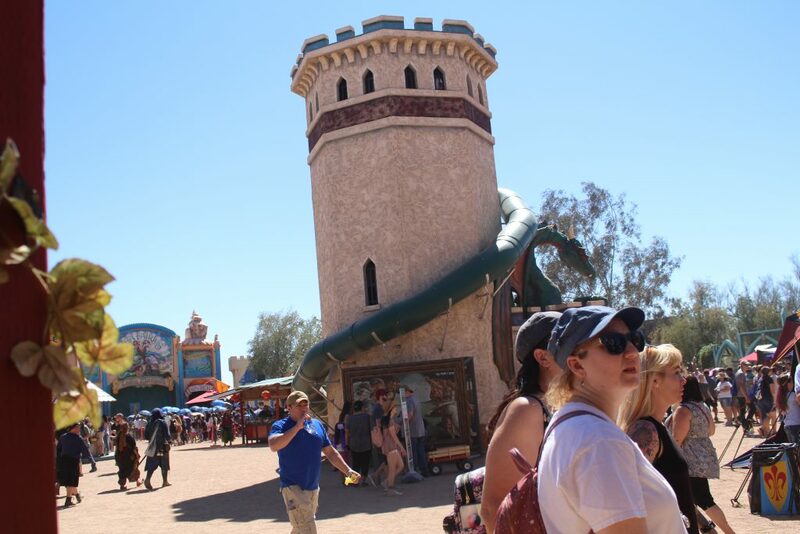 There is a slide built around a castle, a swan that you can swing in as workers push you around, a horse that cradles you back and forth, and more. In the festival, I threw axes and knives through a wooden wall and there are bows and arrows you can practice and play with too. 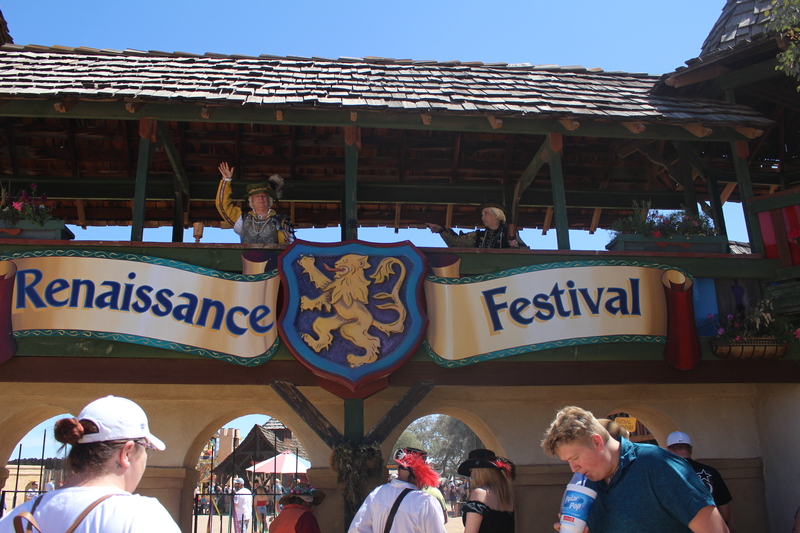 Last thoughts: My first Renaissance festival experience was a burst of gratification. It almost resembles like an amusement park… and it was quite huge like one too! Although I didn’t really dress up for the event, you’ll witness so many historical reenactments that will leave you impressed. I suggest that these Ren fests can make great dates, family bonding time, and convivial memories to build between friends. Thanks! That sounds like a blast too and yes, way more authentic! What an experience. Never associated belly dancing with the Renaissance, but who knows? Hah! 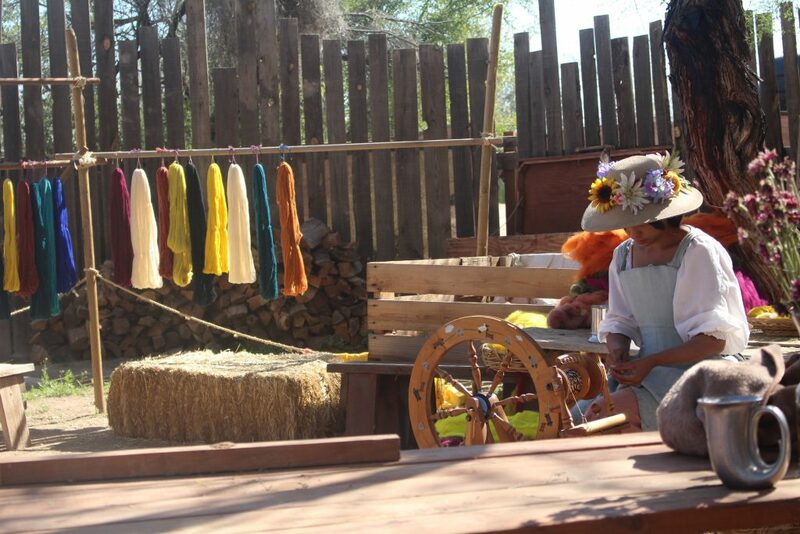 It feels like the Renaissance experience in these festivals are all for experimenting with a couple of things.